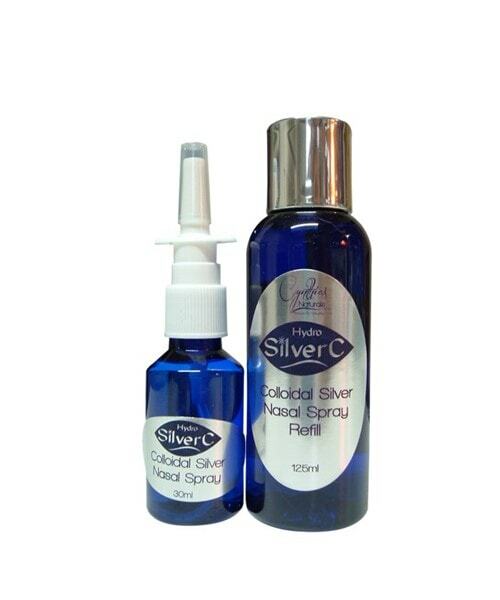 Colloidal Silver nasal spray comes with a 30ml spray bottle and 125ml refill bottle. This spray is ideal for people who suffer from nasal allergies and sinus problems. Colloidal silver is a nontoxic and effective alternative treatment for sinus infections, with antiviral, anti-fungal and antibacterial properties. Sinus infections can easily be considered one of the most common low-risk health conditions. However, just because the condition is low-risk in terms of associated health effects does not mean treatment isn’t warranted or necessary. Because of pressure, inflammation in the nasal and congestion, a sinus infection can be extremely uncomfortable and even painful. Colloidal silver can help. 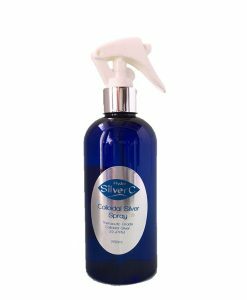 Colloidal silver is one of the most effective natural elements you can use for helping with sinus infections or alleviating nasal allergy symptoms. Colloidal Silver Nasal Spray comes in a 30ml dispense bottle plus a 125ml refill bottle. For irrigation of sinusitis, colds and flu, etc., spray and sniff up each nostril six or more times daily. To prevent infection by airborne pathogens, spray and sniff every one to three hours when on airplanes, in air conditioned offices and work places, and in crowded public places. For hay fever spray once in the morning as a maintenance dose, especially in spring and summer. The lady at my chemist put me on to the benefits of Colloidal silver spray for sinus congestion and pain. Whenever I get the slightest hint that things are flaring up I get straight onto using my spray . Im totally convinced that this product both lessons the severity as well as stops my pain and sinus problem progressing . Being able to purchase these products through Cynthia is a big bonus . Her response time and service is fantastic .